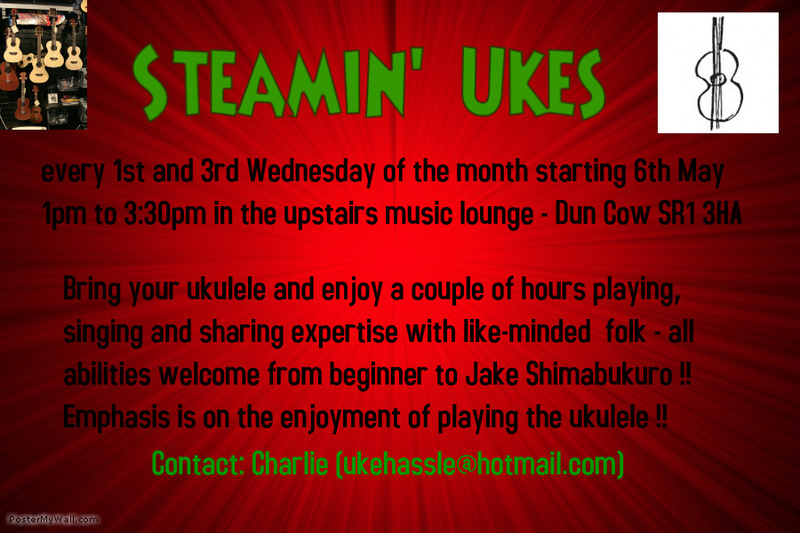 First, a NEW ukulele club starts up on May 6th – “Steamin’ Ukes” at the Dun Cow! Plus some changes for “Hylton Ukes” (The Club Previously Known As “Ukes4U“). “Steamin’ Ukes” has been set up by Charlie Lally – a stalwart of Ukes4Fun (Newcastle) and Tune Army (Whickham). 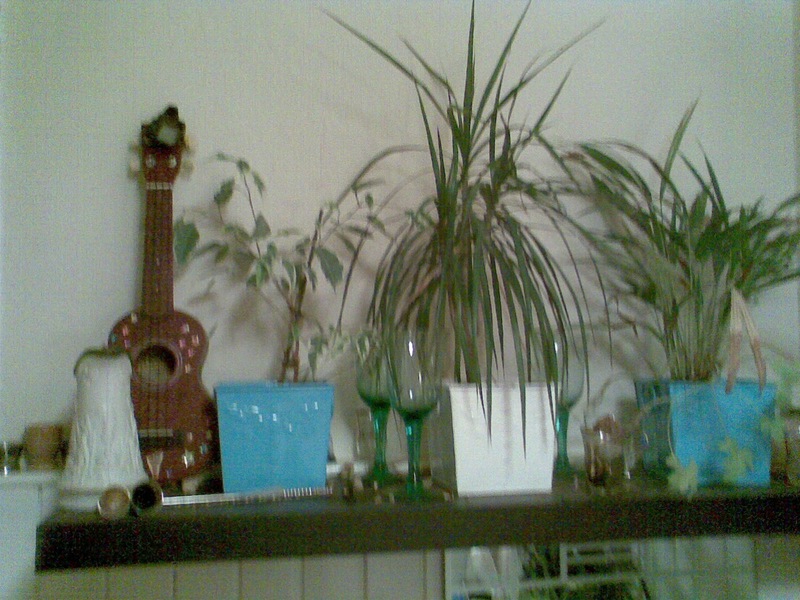 Charlie also set up “The Wild Ukes of Wanny” club when he lived in Ashington. Name change: The Ukulele Club previously known as “Ukes4U”! No changes to times, dates or venue – just a name change. Find other ukers! List of lists! Whickham Tune Army Ukulele Club – new venue! For those of you who are unfamiliar with the pub, it is at the traffic lights on the left if you are coming from Swalwell direction. There are no parking facilities but you should be able to park in the council office car park (next to the Bay Horse, boo hiss!) or behind the shops. It is only a matter of yards away. After much begging and pleading,the Manageress has kindly let us have the room for free, which is very good of her. As usual, it will be the first monday of the month (except bank holidays) at the usual time. South Shields George Formby Soc – 1st Meeting Monday July 11th 7:30 South Shields Top Club! Two generations of George Formby fans start their own George Formby Society Branch in South Shields. It is the 50th anniversary of his death and the formation of the official George Formby Society. Both James Bassett aged 7 who is one of the youngest members of the George Formby Society and renowned George Formby impersonator and ukulele teacher Colin Bourdiec have the support of the official George Formby Society to start this branch where the large repertoire of George’s songs will be sung, played and remembered here in the North East. We anticipate Formby fans coming to the region from far and wide to support this venture. The first meeting of this new George Formby Society, which will perpetuate the legacy that is George Formby, will be held at the Top Club in South Shields on Monday the 11th July 2011 commencing at 7.30pm and will be held on the second Monday of the month. All ukulele players and Formby fans are invited.